David Nichols earned his B.S. 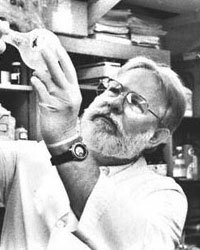 from the University of Cincinnati in 1969 and his Ph.D. in medicinal chemistry from the University of Iowa in 1973. 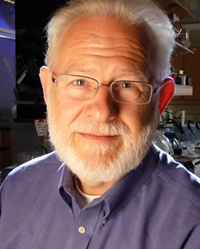 He is a Distinguished Chair in Pharmacology in the Department of Medicinal Chemistry and Molecular Pharmacology at Purdue University, as well as the founding president of the Heffter Research Institute, where he serves as Director of Preclinical Research. Dr. Nichols has published over 200 research articles on various aspects of the medicinal chemistry and neuropharmacology of drugs that act in the brain. The general theme of his research is to understand how changes in brain neurochemistry affect behavior, through the use of molecular probes. His laboratory has published numerous studies elucidating details both of the mechanism of action of MDMA and of the biochemical events related to the neurotoxic effects seen in animals following administration. Dr. Nichols coined the term "entactogen" to describe the unique psychopharmacological effects of MDMA and related compounds. "When I was a little kid I used to play with pyrotechnics," he says with a smile. "[LSD] is the closest I could get to a pyrotechnic molecule in the brain."